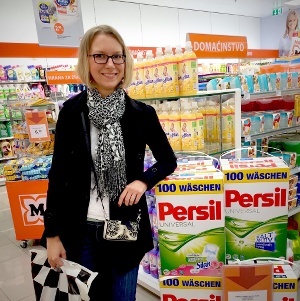 Have you ever heard of Perwoll Black laundry detergent? I think there’s a little bit of confusion when it comes to the Perwoll brand. What you normally think of when you hear the name is Perwoll for Wool and Delicates , pictured below in the pink bottle. That detergent does not contain enzymes and is meant for delicates such as wool and silk: enzymes “eat away” at the proteins of wool and silk fabrics, so you should never wash those with a regular enzyme laundry detergent! So the pink Perwoll is pretty much the German sibling of the American Woolite detergent for delicates. 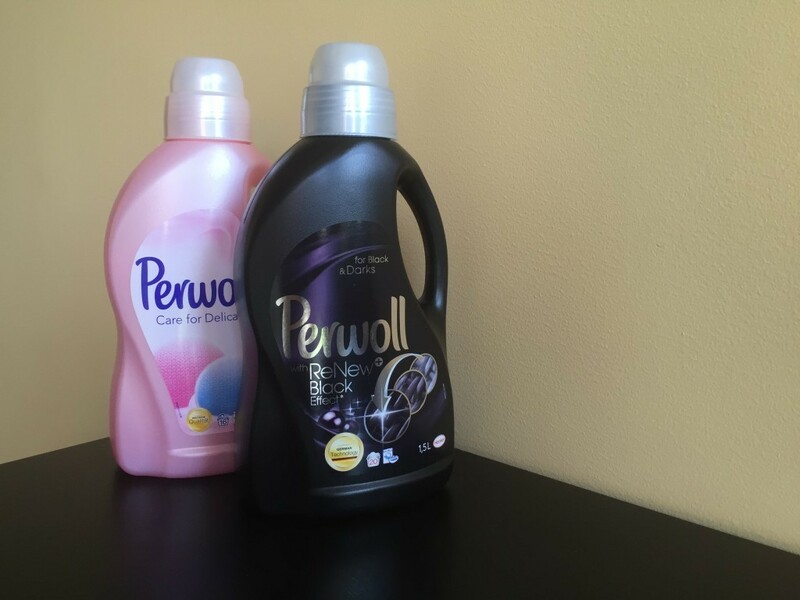 However that is not the only Perwoll laundry product available, their lineup also includes enzyme containing detergents for colors , whites and darks . The latter was very much recommended to me by the owner of our local Miele dealership, so I decided to give it a try.